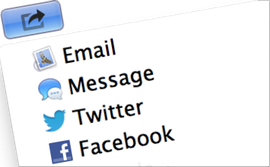 Announce your website updates over Twitter, Facebook, Messages, and more! 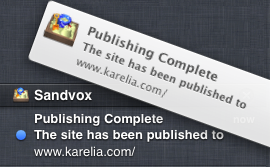 Get notified when your upload is complete. 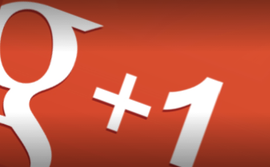 Make it easy for your visitors to share over this popular network. We've updated our interface to fully support Retina Macs. 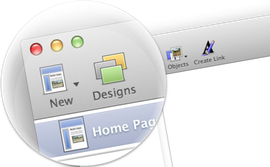 Check out the detail in the toolbar icons and site navigator thumbnails. Plus a revamped Host Setup Assistant, faster opening and saving of documents, publishing improvements, and much more! While this new version takes advantage of Mountain Lion (OS X 10.8), it also works great on Snow Leopard (10.6) and Lion (10.7).